“Goooood evening Sir. Oh My God! It is really nice to see you” I say in a sing-song manner. I take the sit in front of Mr. Chuma and I keep my bag on the sit beside me. I look at my time, 3:10pm. When will Nigerians learn to be punctual I ask myself. 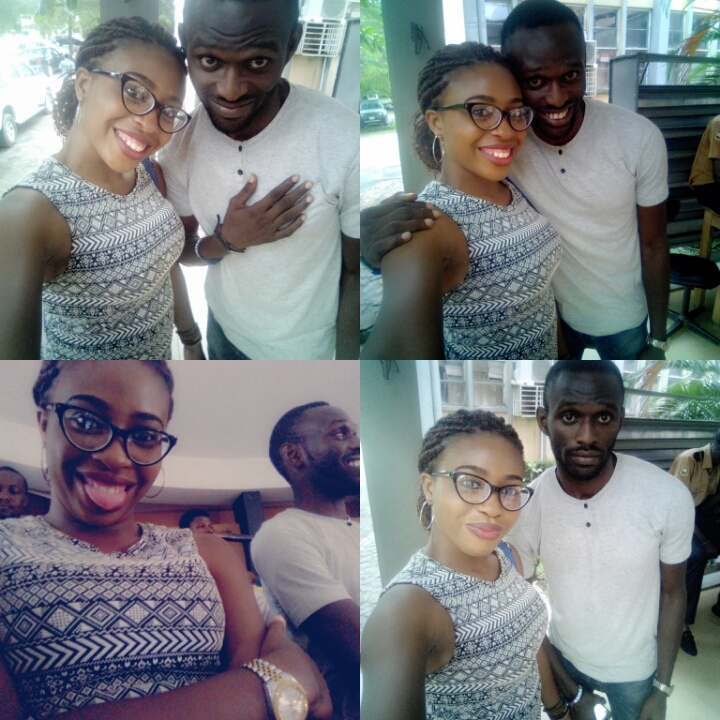 For lack of what to do, I bring out the DIARIES OF A DEAD AFRICAN, a book by Chuma Nwokolo that belongs to my friend Blessing Mikairu- she declined coming for the event because she wasn’t feeling very great, it had nothing to do with her health but everything to do with her bad Samsung phone. I stand up and go to where Mr. Chuma is seated. I cringe. I want to tell him I am CHIMDINMA and not CHIDINMA. But I let it go. He stands up to get more copies of his books that would be sold at students price. He comes back with more books!!! I’m in awe! I check my wallet and realize I’m with only #1000. I buy a copy nonetheless. I think about the few friends that try to pronounce it right – Aanosi, Mr. Abiodun and Ibro. Others start coming in. I’m sad. The book reading has begun. I don’t have money for books. 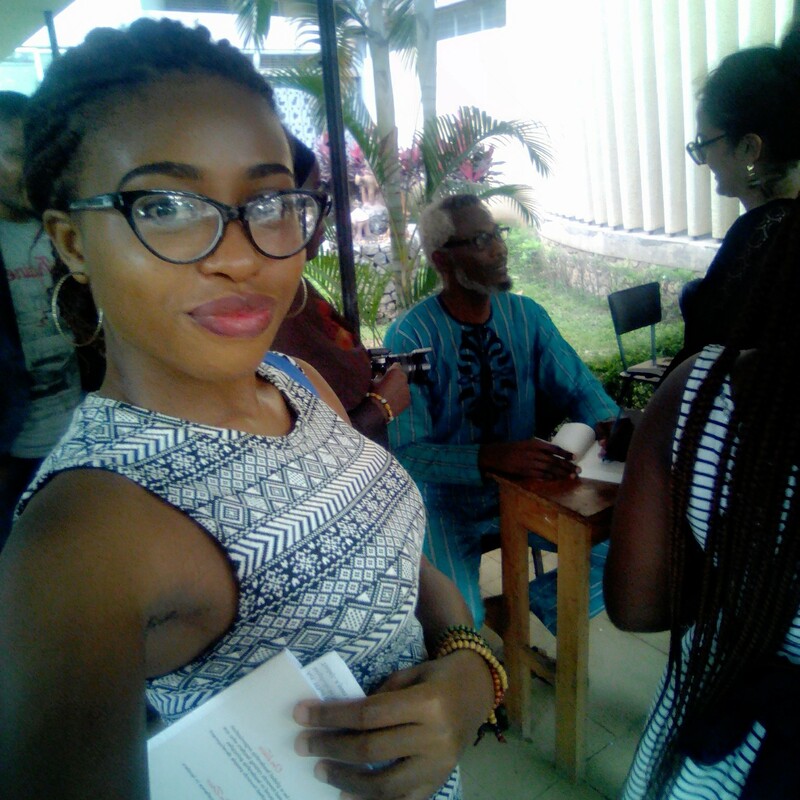 Come and see Chuma Nwokolo!!! He starts with DIARIES OF A DEAD AFRICAN. I remember reading it on the journey from Ibadan to Portharcourt. I remember Meme Jumai and everyone. The humour even in poverty and everything in between. We talk about the indifference of everyone to Meme Jumai and how he finally dies a horrible death. And it made us understand that you can’t be indifferent to the poor and to the vulnerable in the society. When we become indifferent to their pains and sufferings, they end up being robbers and thieves etc. 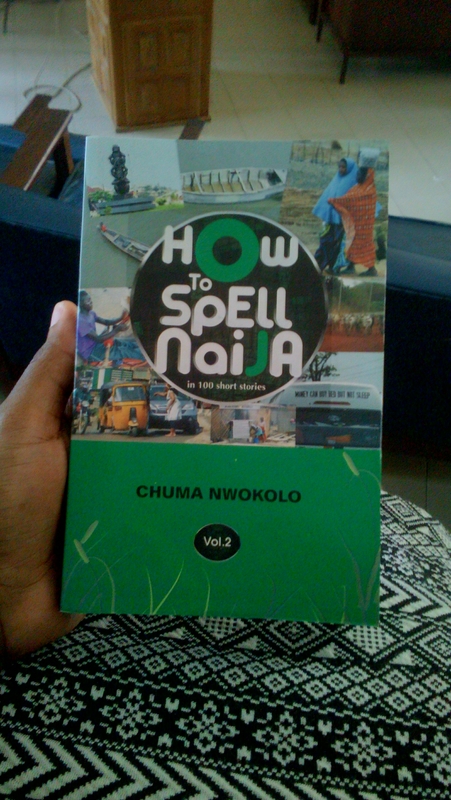 His second reading; How to Spell Naija in 100 short stories; No. 7 Poto-poto Road. Third reading from the Ghost of Sani Abacha and we discuss fear as one of the themes. Fourth reading; a Prayer from one of his poetry books. YES SIR, MASTER, MAY YOU LIVE LONG SIR. Well, until Edmund Obilo and a Dr. from the department of history championed a revolution. Ahhh.. I will never forget. We talk about the HOUSE THAT FICTION BUILT. Chuma thinks it’s a false statement. Fiction has built nothing. Fiction even though powerful only carries with it an emotional truth so that at the time you’re reading a work of fiction, you are in touch with a kind of reality. But this truth is only in motion, when you are reading and not in context. So the question is how do we make fiction true? How do we bring the revolutions on paper to life? “You retain your voice based on what you are passionate about and based on what you want to achieve. And how do we find this unique voice of ours? We find this voice from everything we have read and digested and the things that you do not take for granted. On Humour, he says the jokes come with practice. The struggle! Lol! I thought I wasn't going to get the chance to take a proper picture!! After the book reading we all go out to take pictures and then we return to the hall for a documentary movie; “Chief” by the Cameroonian filmmaker Jean-Marie Teno. We discuss and in the process he tells us about the BRIBE CODE. The Bribe Code is another name for a proposed new law called The Corporate Corruption Act. What the law tries to do is to fix a major loophole in Nigeria’s legal system. Today, a man who kills his neighbour for his property may face the death penalty. But, if he registers a company which kills a thousand people for their property, the convicted company will simply write a cheque and continue business as usual. Corporate Corruption kills Nigerians every single day. Support the Bribecode by signing up at http://www.bribecode.org/signup. We need up to 100,000 people to sign up for the bribe code. I’ll write about it (documentary/ies) soonest. I plan to write about all my Thursday Film Series. Chuma Nwokolo was born in Jos, Nigeria and graduated from the University of Nigeria following which he was called to the bar of the Supreme Court of Nigeria in 1984. He worked briefly for the Legal Aid Council and was managing partner of the C&G Chambers. He has convened legal and literary conferences, and was writer-in-residence of the Ashmolean Museum, Oxford, and chair of Leys Newspapers, Oxford. Chuma has led creative writing seminars for Oxford Brookes University and Benue State University and delivered workshops at literary festivals. Chuma Nwokolo is the publisher of African Writing magazine, and has several books to his credit, including two novels for young adults, The Extortionist and Dangerous Inheritance; the novel, Diaries of a Dead African, the novelised anthologies African Tales at Jailpoint and One More Tale for the Road; the collections of short stories The Ghost of Sani Abacha, How to Spell Naija in 100 Short Stories (Vol. 1 & 2) and a poetry collection, Memories of Stone. His story,Diaries of a Dead African, was chosen by La Internazionale as one of the 3 best stories worldwide in 2003. His work has been translated into Italian, Slovene and Slovak. 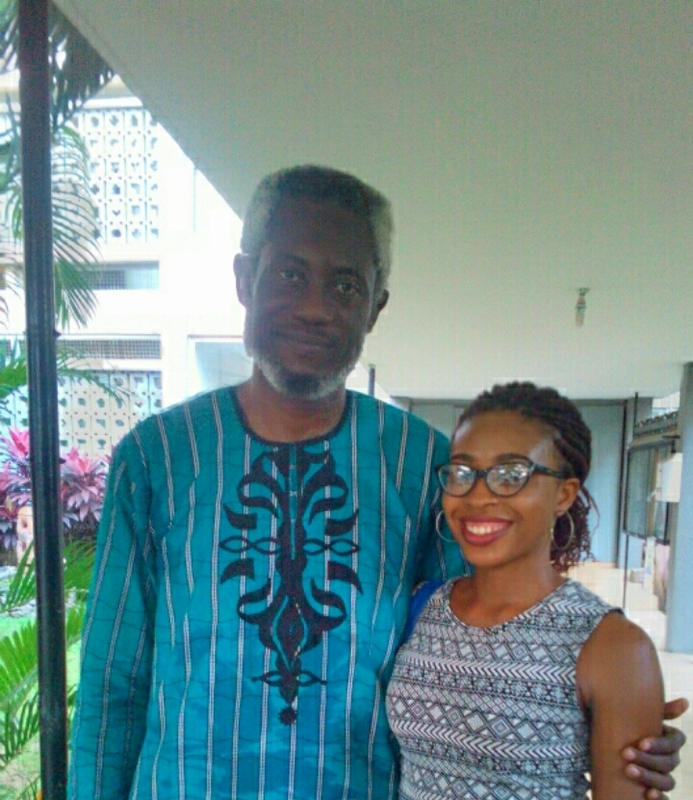 Chuma Nwokolo is is a member of the Nigerian Bar Association, the Nigerian Institute of International Affairs, the Association of Nigerian Authors, and PEN, and is also the founder of the BribeCode, a nationwide campaign to eradicate corporate corruption by adopting the bill the Corporate Corruption Act, which he devised and presented to the National Assembly in 2015. 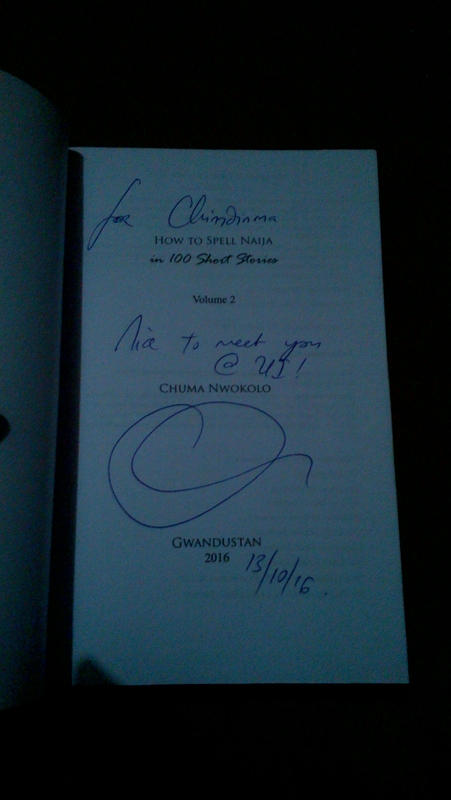 Read more about Chuma at www.nwokolo.com. Now we have seen Chuma! Guess who I saw today?! Lenny Leblanc! Shout out to The Alobam! African tales at jailpoint is the only book I have of his. I might/might not have met him once (bad memory) but I do love that book. Aww! His books are beautiful!!!! And his humour is engaging. I’ve not read the jail point book. Would look out for it.